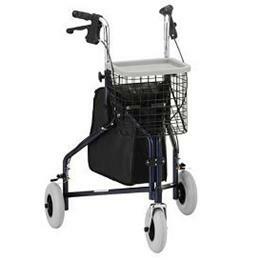 The Traveler 3 Wheel Walker will get you going places with its unique, three wheel maneuverable design! It comes with 8” wheels, locking hand brakes, a tray, a basket, and a pouch. Available in 4 colors: Blue, Red, Black, and Purple.